Alabama, Arkansas, Rhode Island, Vermont, Washington D.C., Wisconsin & Indiana. Kratom is not FDA approved for human consumption. Our products are not intended for use in the diagnosis, cure, mitigation, treatment, or prevention of any disease or medical conditions. We do not provide any information on usage including questions regarding to medical/healthcare advice. Please consult with a healthcare professional or specialist for such matters. If customers are not compliant with these factors, we can no longer be of service to those customers. By placing an order with us you confirm your agreement with all of our policies & terms. Buyer also agrees to indemnify & hold harmless the seller to any and all claims, liabilities, or causes of legal actions. Thanks for your compliance. We unfortunately cannot refund shipping charges. Transactions are performed in $US Dollars. Your information is kept private and is not given or sold to any third parties. We reserve the right to refuse service for reasons including (but not limited to) fraud (or suspected fraud), abusive/threatening language and attitudes, non-compliance to our policies or governmental compliance or any other reasons that would create a lack of trust and other unpleasantness emanating from the customer, etc. We do not provide any information on usage. By placing an order with us you confirm your agreement with all of our policies & terms. Buyer also agrees to indemnify & hold harmless the seller to any and all claims, liabilities, or causes of legal actions. Quality, Lab Tested Purity & Excellence. We are about quality over quantity, we may not be the least expensive but we are not the most expensive as quality costs to produce in purity and excellence. Purity Control: To ensure clean/pure aromatics & botanicals; our products and/or sources are lab-tested for Biological contaminants & Heavy Metals. We only use laboratories that are based in the United States & are ANAB & ISO-17025 accredited. In addition, we use a multi-stage filtration process (sifting, etc) on all of our kratom prior to making it available for purchase. We double seal all of our products for freshness & keep them dark & dry up until the bags are sealed to order. Fraud Deterrence: For the customers’ protection (as well as our own), we acutely vet all orders for fraud prior to processing. We have different stages of vetting (determined by each order’s unique variables) including billing vs shipping address scrutiny, phone number look-ups, IP address correlations and blacklist inspections, among others. Only orders over $65 qualify for alternative payments (non-credit card payments). Insufficient Funds: Insufficient funds can be treated as declines or we can charge the available portion and require the balance to be paid before completing the processing and shipping the product. If the customer decides that they no longer want the product after the insufficient funds scenario has been brought to their attention, KratomEye.com reserves the right to refund all but the transaction fee of 4.5% (reason being is that we do not get this % of money back from our processor if the customer decides to cancel after it has already been charged). We offer our customers USPS Priority Flat-Rate OR USPS Express shipping. Delivery is typically between 1 – 4 days from purchase date (Holidays & Weekends not included) depending on the option you choose and your distance from South Florida. Do not confuse USPS Express with ‘one day’ or ‘next day’ shipping which is a service from other companies, and not USPS. We try our best to ship all orders placed before 12:30 pm EST between Monday – Friday on the ‘same-day’ (exceptions include 3 day weekends, promotional discount periods, etc). We no longer ship on Saturdays. FREE SHIPPING on orders over $49 (excluding Live Plants/Cuttings). Shipping Delays: We are not responsible for shipping errors via USPS. We will not refund late shipments due to USPS errors for Priority nor Express Shipping. We will of course replace items lost by the post office, if it hasn’t arrived within 1 week from the proposed arrival date. If the customer’s submitted address is incorrect or undeliverable by USPS, it is the customer’s responsibility to reply to, resend and/or confirm the correct shipping address prior to Kratom Eye shipping the actual order (in order to avoid the package shipping to the wrong address). Order Tracking is provided by our Completed Order emails (sent after processing is complete), please keep a lookout for that email. Please note that USPS tracking can take 12 to 24 hours to show actual tracking or progress. Tracking #’s are also available in your My Account page via each specific order. Please log into your account and open the order in question to find it’s relevant tracking #. USPS also sends tracking emails, for USPS tracking emails: please check your Spam/Junk-mail folders for relevant emails. Please add our relevant email addresses to your ‘contacts’ or ‘favorites’ to ensure they arrive in your inbox. Some email software (GMAIL especially) may need this step for best results. Live Plants are shipped between Mondays – Wednesdays. Please allow 2-3 weeks for potted plants & the closest Monday- Wednesday for cuttings to be shipped. KratomEye.com is not responsible for cuttings that are not rooted properly by the customer nor rooted plants that perish after 24 hours within customer’s care. We will only exchange cuttings/plants that absolutely did not survive the shipping process (within the United States). It is the customer’s responsibility to research growing techniques. KratomEye.com is not responsible for educating the customer on growing tips. It is normal for some leaves to fall off during the shipping process, as long as your stem is healthy you can proceed with the cloning or planting process. You understand the difference between a ‘cutting’ and a ‘rooted’ plant (read more here). Cuttings are not pre-rooted. We can not exchange or refund purchases made in error for plants. It is the customer’s responsibility to root the cutting & to research the proper methods in doing so. It is also the customer’s responsibility to research environmental factors that may affect the plant once in their possession. KratomEye.com possesses no responsibility aside from shipping a cutting in good condition to the customer. KratomEye.com is only responsible for the first 24 hours of the plant’s survival. Once in the customer’s care, there are too many variables that are out of our control and thus it’s the customer’s responsibility. We will not replace, refund nor exchange plant cuttings that failed to root or withered (died) after 24 hours in the customer’s care after it was received in good condition. Refunds & Exchanges: For this to be considered, customer must contact us no later than 24 hours after the cutting was received with pictures clearly illustrating any issues. Customer must email us (info@kratomeye.com) in order to communicate anything related to the plant. Instructions: We offer only basic rooting instructions for customer who have purchased a plant, upon inquiry. Overall it is the customer’s responsibility to attain the information needed to clone and grow the plants. Experience Recommended: We strongly recommend that the customer has experience with rooting plants and has some level of expertise prior to attempting to root a kratom plant. 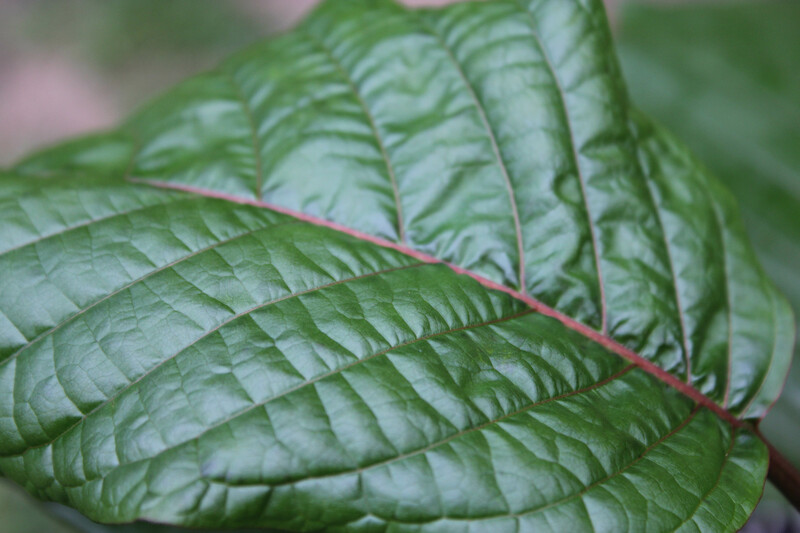 Kratom plants can be more difficult to root than many other plants. If the customer feels that intimated with this factor in advance (prior to prep and shipment), we can give a full refund via PayPal or a discount for a future order or provide kratom powder for the amount of the cuttings instead. Kratom plants do not qualify for Free Shipping. Kratom plants can not be shipped via Express Shipping. We offer an exchange on our products as long as the product is returned in it’s original packaging, intact, unopened & in perfect condition. It must meet the criteria to be accepted as a refundable item. We can not exchange/refund any opened packages. We unfortunately cannot refund shipping charges. A restocking fee of 13.5% will be subtracted from the refund/exchange or a lesser value item may be exchanged to cover the restocking process. Please note that we have a response time to emails/texts of ‘up to 24 hours’, all communications are based on this policy, in addition. Order changes and/or cancellation emails must be sent no later than 11 am EST (on the day of processing – during regular business days/hours) which would be prior to our same-day shipping cutoff time (which is 12:30 pm ET). Please refer to a trusted Time Zone Converter if you do not reside in EST. Considering our ‘up to 24 hour’ response time, changes/cancellations received after 11 am EST, may not be possible. If cancellations are received after our 11 am EST changes/cancellations cutoff time (as mentioned above), we reserve the right to deduct the 13.5% restocking fee (if applicable). If we already shipped your order before receiving your cancellation request (after the cutoff), we will be unable to refund the order (as we can not stop USPS from delivery at that point). See the Returns/Exchanges section for further details. eCheck cancellations: For eCheck orders, we will refund the order once the funds have cleared into our bank account (which could take a few business days). If the eCheck was rejected (for some reason) and we don’t receive the funds, we will be unable to refund the order (refunds are based on the condition that we received the funds for the order).